Hannover vs Leverkusen predictions for Sunday’s Bundesliga fixture at HDI Arena. Can the hosts regain the winning thread after some dismal results? Continue reading below for all our free tips and predictions. To say that Hannover are struggling at present would be something of an understatement. Sunday’s hosts don’t just come into this match off the back of three defeats, but they’ve been battered on all three occasions. They lost by three goals to nil against both Hoffenheim and Frankfurt, while Stuttgart hit them for five last time out. Improvement is needed if Die Roten are to regain the winning thread and thus give themselves any chance of staying up. In truth, as things stands, it’s not looking good for Hannover, who’re currently seven points from safety. They are five points behind Stuttgart, who currently occupy the relegation play-off spot, though even bridging that gap looks unlikely on recent form. Not only have Hannover lost each of their last three, but their performances have been little short of abysmal. Last time out, they managed just three shots at goal, only one of which found its way on target, while they mustered a dismal 0.22 expected goals for. The fact that they scored a goal was massively fortunate. Aside from offering next to nothing offensively, Hannover also conceded an awful lot at the back, as they allowed Stuttgart, who clocked 1.78 expected goals for, eight shots on target. Prior to that, Sunday’s hosts, who’ve conceded a dismal average of 2.34 expected goals at home this season, shipped 1.49 and 2.99 expected goals against Frankfurt and Hoffenheim respectively. Considering that Leverkusen are no slouches going forward, the numbers above make it very easy to fear for Hannover ahead of Sunday’s clash. While Hannover have struggled immensely at the back of late, Leverkusen have been thriving offensively. Sunday’s visitors have scored at least twice in each of their last six matches, while they’ve scored at least thrice in three of those six. During that time, they’ve posted some very encouraging expected-goals for numbers of 2.05, 1.8, 3.65 and 3.35. 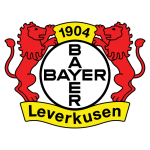 Fortunately for the host, Leverkusen, as good as they’ve been offensively, have not been tough to get at on their travels, so Hannover are not without a chance going forward on Sunday afternoon. Peter Bosz’s men come into this match having conceded at least once in seven of their last eight travelling matches, while they’ve surrendered a rather chunky average of 1.68 expected goals on the road this season. Such numbers don’t exactly scream defensive solidity. To be quite honest, Leverkusen have lots more about them offensively than Hannover do, so Sunday’s visitors ought to be capable of overpowering their hosts, though if their overall away-day efforts this season are anything to go by, then they’re unlikely to make it easy for themselves offensively. At the prices, ‘Leverkusen to Win & BTTS’ is worth a dabble. If we look at both their attacking and defensive efforts on the road, then backing the visitors to outscore their hosts without keeping a clean sheet looks to be best option. Hannover 96 have won just 14% of their Bundesliga meetings with Bayer Leverkusen (W5 D12 L20). Their win percentage isn’t as low against any other current BL team that they have played at least five times in the top flight. Hannover have scored eight goals in their last three games against Leverkusen but haven’t won any of those matches (D2 L1). Bayer Leverkusen have lost just one of their 17 Bundesliga meetings with Hannover since December 2009 (W10 D6). With 14 points and a -34 goal difference, this is Hannover’s worst ever Bundesliga campaign. The Lower Saxony club have previously always had at least 16 points after 24 games (1988-89). Hannover 96 have won just one of their last 13 Bundesliga games (D2 L10) – they beat Nürnberg 2-0 on matchday 21. Hannover have conceded three goals or more in 11 Bundesliga games this season – only Stuttgart have been worse (12 games). 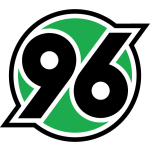 H96 have let in 19 goals across the last six matches alone. 18 of the 55 goals Hannover have conceded have come from set pieces – a league high. Bayer Leverkusen are tied for second in this regard, having shipped 14 goals from dead ball situations (the same as Freiburg and Hoffenheim). Bayer 04 Leverkusen sit second behind FC Bayern in a table representing matches in 2019, having collected 15 of a possible 21 points (W5 L2). Leverkusen have averaged a whopping 75% possession over the last four games and have had at least a 90% pass accuracy each time too. They didn’t record as much possession or as high a pass-success rate in any of their Hinrunde games. Leverkusen have covered an average of 121.7 kilometres per game in the Bundesliga this season – a league high. That average rises to 125km for matches in 2019 since Bosz took over.